Days before a big a cappella competition, members from First Edition speak on the dynamics of their group and the overall power of music. Do you hear the people sing? This coming Saturday, April 1st, Regent will be hosting an a cappella competition called Battle at the Beach, where seven a cappella groups will be coming from multiple states to perform and compete. Each will perform a 10-minute set, and there will be one winner overall, as well as awards for the Best Soloist and Best Beat-Boxer. 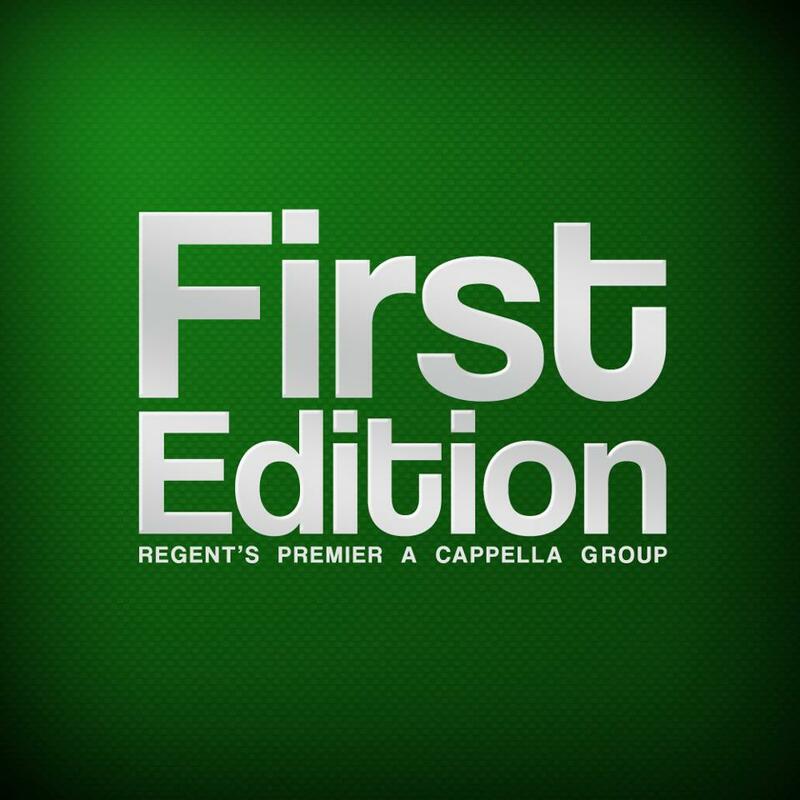 The performance happening during judging will be none other than Regent University’s premiere a cappella group, First Edition. It consists of eight members, two for each voice part, who perform at Regent functions as well as some outside events. I sat down with music director Christina Wilmot and business manager, Ronnie Riffle to ask them a little bit about the group, as well as the upcoming event. What is it like to be a part of a group like this? CW: First and foremost, we are like a family. There are only eight of us; therefore, we are close-knit and see each other often, at least twice a week. So it is kind of like having those friends you always go back to and share the same passion as you. Because we all love music and have the same gifts, we are able to cultivate our talents together. We obviously have our differences, but it is neat to bring in different personalities into one group and being able to work together for something we all love. You guys sing mainly secular music. How do you still try to show the glory of God through music that does not talk about Him? RR: Yeah, so when it comes to that, we don’t do profanity or anything like that. However, we do sing from a lot of artists which are questionable. When it comes to that, music is something that is given by the Lord. When God gives you a gift, you have to be able to expound upon it. I think the biggest way we can reach other people is in ways they understand. For us, going in there and trying to smack someone over the head with a Bible over and over again, it is not going to get to them. So going in and saying, “why this music reach to them” helps us to understand how do we reach them. It is interesting. What is your favorite part of First Edition? CW: It would have to be learning the music and hearing the outcome. What is the hardest part of First Edition? CW: I would say the hardest part for me, being the music director, would be that everyone has different musical experiences. So trying to adapt my teaching to people who might not know music very well and some people who may be very good with music. Making it challenging for those people can be difficult and I don’t want them to feel like they are wasting rehearsal time. For those who do need to learn, finding ways to teach them outside of rehearsal or have other members help them that are stronger can be tough at times. What is something people don’t know about the group? RR: Our quirkiness. It is hard to explain, but we are so flexible when it comes to understanding each other music-wise, and supporting each other. But I guess it comes down to performing in a musical sense as a whole and connecting to each other in that way. We have a connection with our life groups and our halls, but with music, it is a common denominator because music speaks over all the languages as a whole, and can touch a life in a special way. What are you looking forward to the most with Battle at the Beach? RR: I am a huge a cappella fan, ever since Pentatonix came out with their Evolution of Music which took the internet by a storm. I’m excited to have these different groups come on campus and to exchange ideas, styles, and even ways things should be written. I am really just looking forward to the mingling of the different groups coming on campus, and the eight awesome performances that day. Finally, favorite song to sing? CW: Anything that pops into my head! For First Edition, it would probably have to be Counting Stars/Timber Mash Up that we have. It is super awesome, and we have some choreography with it and I am really excited again to hear that performed. We have yet to perform it for the public yet. RR: Oh dear, it changes on the daily, if not hourly. I did not know about Ed Sheeran until probably this past year, and so one of my favorite songs comes from his Divide album called Super Market Flowers. And that just talks about the love he has for his mother, who passed away this year, and it speaks to me because of how much I look up to my mom. Battle at the Beach will be April 1st at 2 p.m. in the Moot Court Room, doors opening at 1:30 p.m. Regent students can purchase tickets early for $3, the community for $5, and all tickets will be $6 on the day of the event.